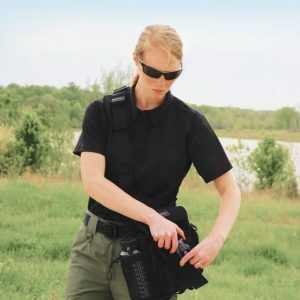 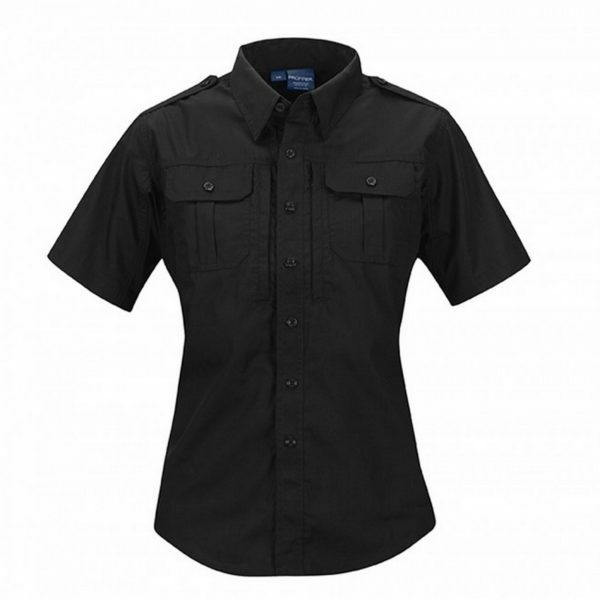 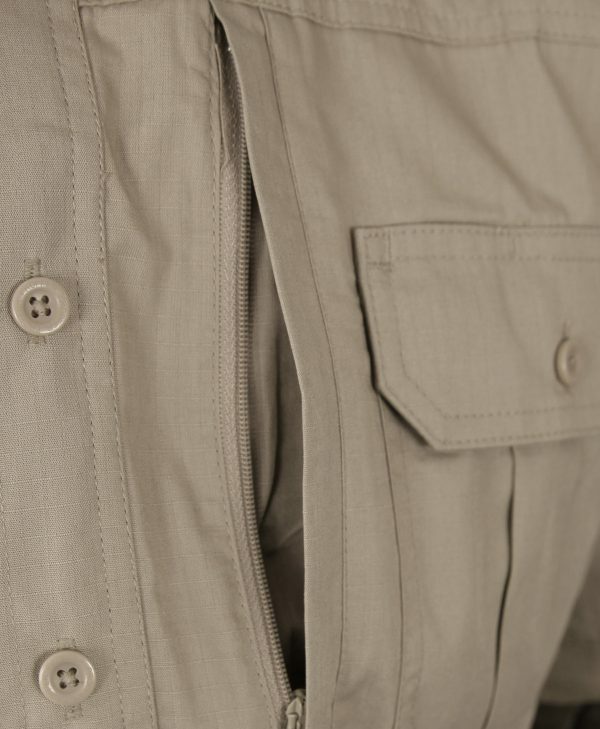 Stand up to the task with the comfortable, durable and professional Propper Women’s Tactical Shirt – Short Sleeve. 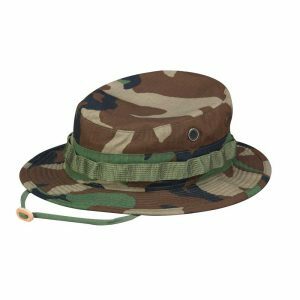 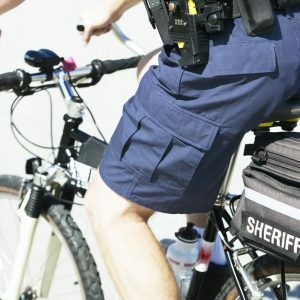 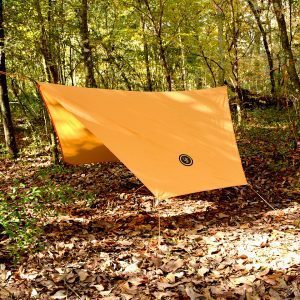 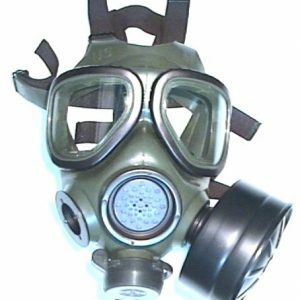 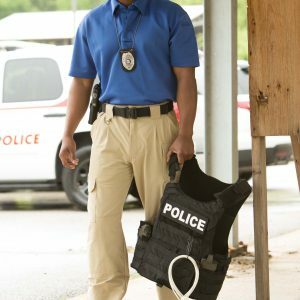 On or off duty, its lightweight ripstop material coated in DuPont™ Teflon® fabric protector will keep you cool while it resists fading, shrinking, stains and wrinkles. 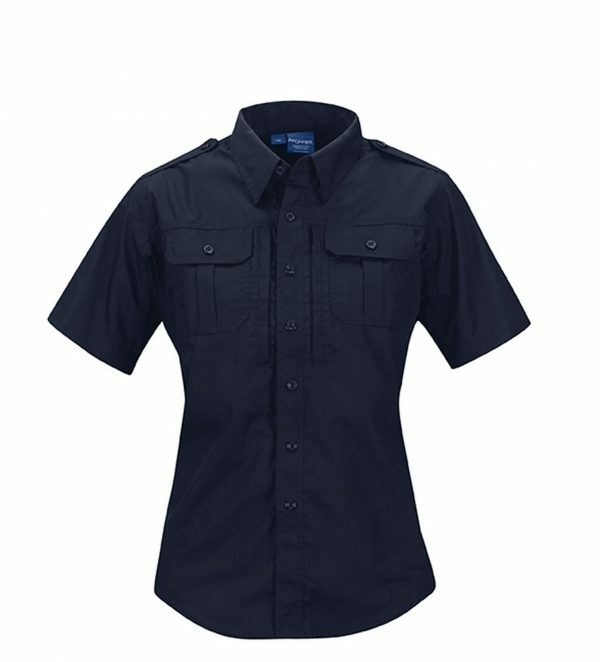 The mock button-up front gives you a professional look while concealing your zipper for quick access to a vest or weapon. 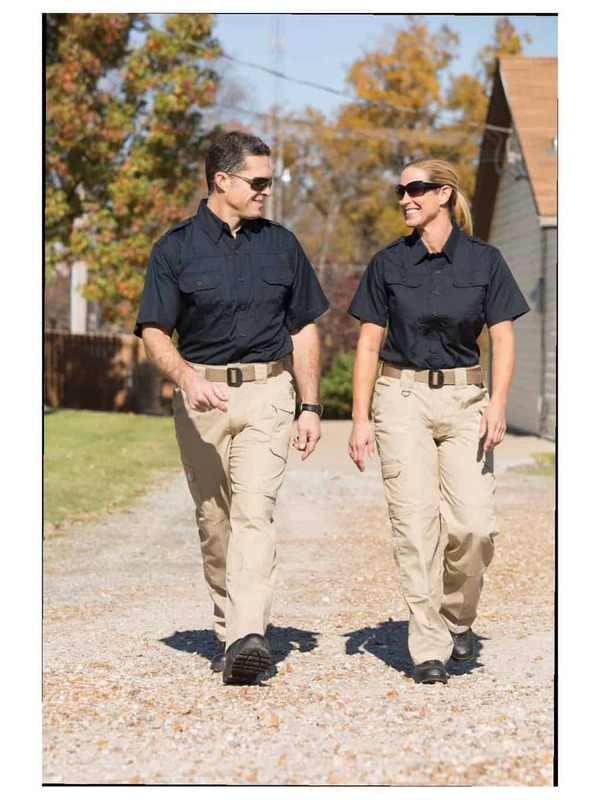 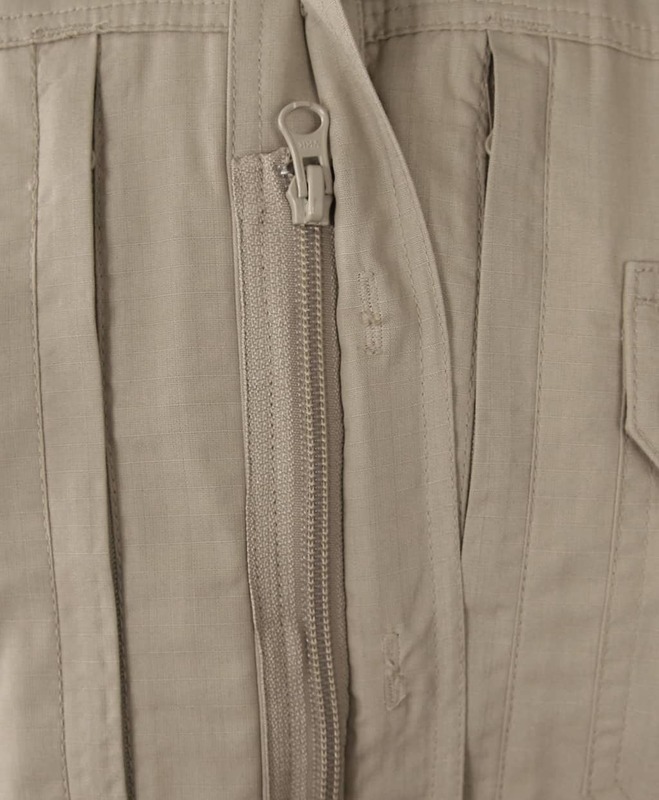 Additional features, including a longer tail in back, two zippered chest pockets, roll-up sleeve tabs and gusseted underarms preserve the look without hindering your storage capacity or range of motion. 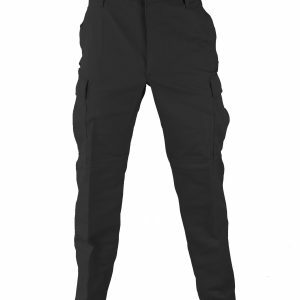 For the matching pants to build a uniform, please see our listing F5254-50 for our Ladies Propper Tactical Pant. 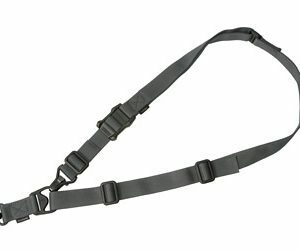 Please use the chart below to order your correct size.